Send us an email, give us a call, or stop by the Pro Shop! Visit the online store today and give the gift of golf! Kick off the 2019 season here! - Golf Show, Feb. 23-24, 2019! Offering memorable golf experiences for generations to come. Enjoy the benefits of membership. Purchase your membership online! Sign up for our eClub to receive exclusive offers and course news! Check out the online store for membership packages and gift cards. Green Hills Golf Course has been a cornerstone of the Sandusky County golf community since it first opened in 1958. This 18-hole Public Golf Course located in Northern Ohio, features a traditional American design, complete with rolling terrain, tranquil ponds, gentle creeks and mature trees. It's a course that has long delighted those who play it, and it's a course that is committed to excellence for a long-time to come. Our Course Layout is a test for golfers of all skill and experience levels. It’s a precise course that holds greater rewards for the golfer who keeps the ball in play rather than the player who relies on the long ball. The Green Hills Golf Course measures a sneaky 5,933 yards, and most players say it gives them optimistic hope in the early holes while causing serious second guessing later in the round. In other words, most guests leave Green Hills feeling either proud or humbled. 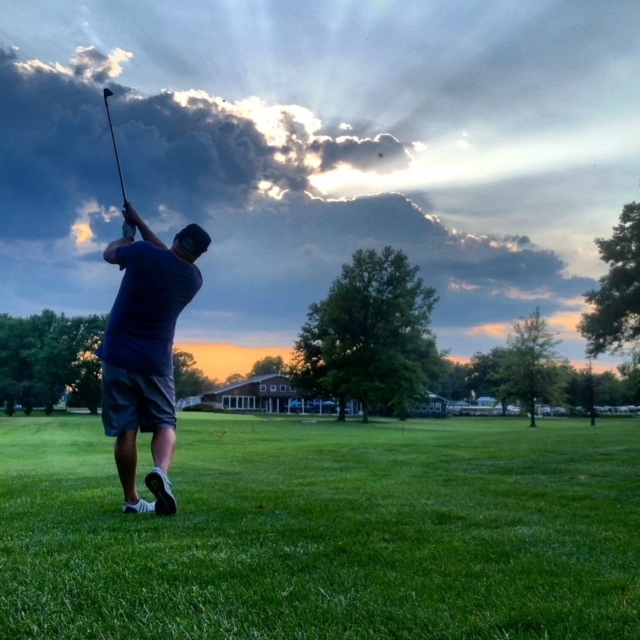 You will love the Sandusky County golf experience, whether you visit for a custom golf outing with 200 other guests or a fun round of four with friends.